this beautiful morning we are happy to present to you another Miniatures Unpacked. Enrique Velasco aka Emuse contacted the jungle to have a look on this model and so we did. It is a beautiful piece even the theme of the figure is nothing uncommon. 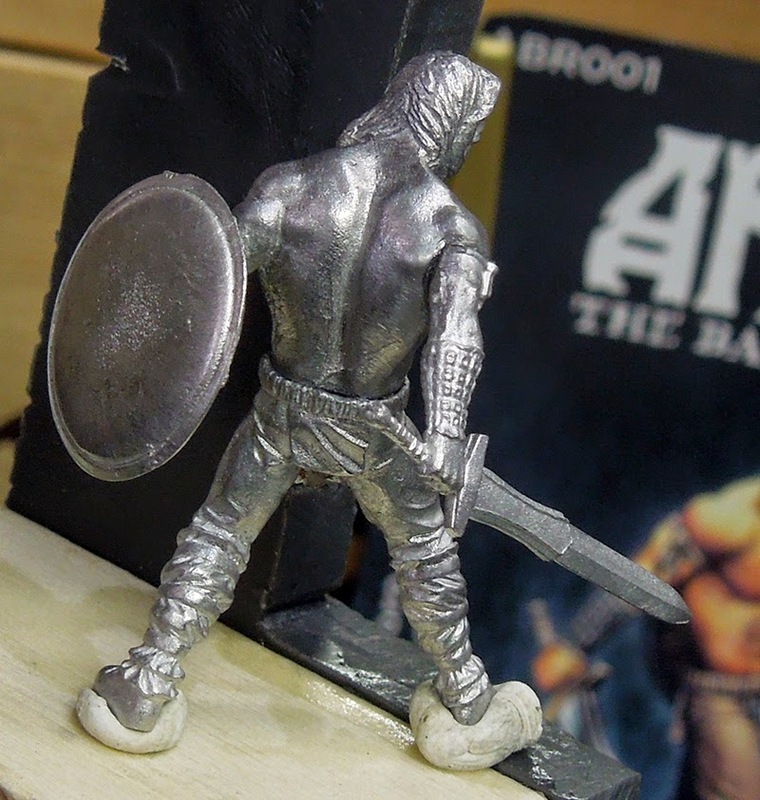 He reminds us a little bit of Heroquest or Dungeon & Dragons. 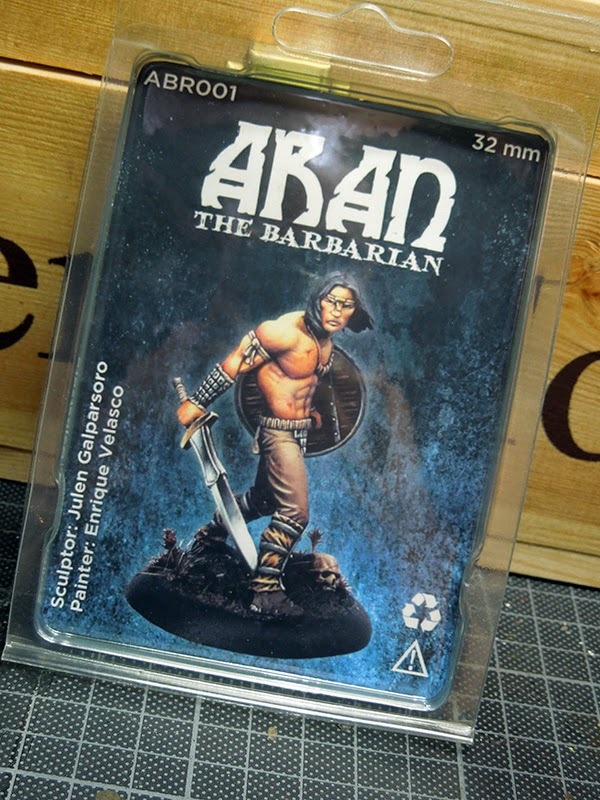 A cool barbarian dude in a striking cool pose. 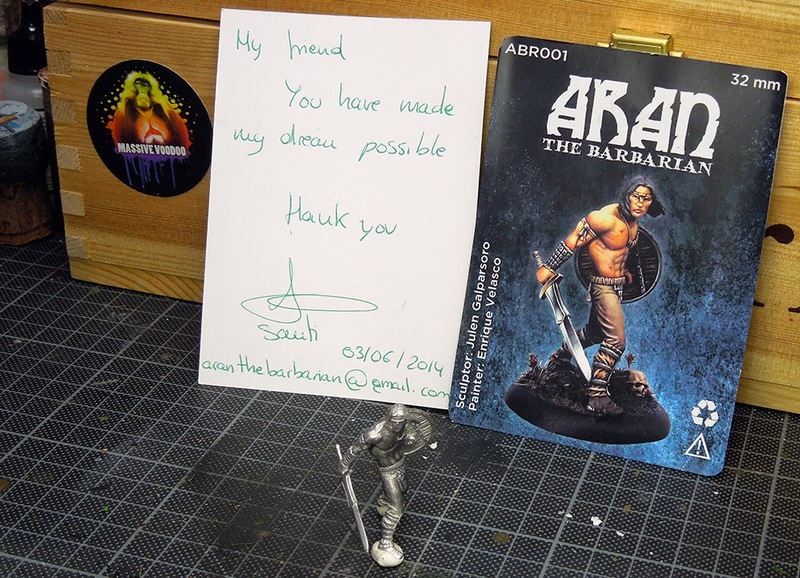 The model arrives in a plastic blister with foam inside and a card showing the beautiful promo paintjob. 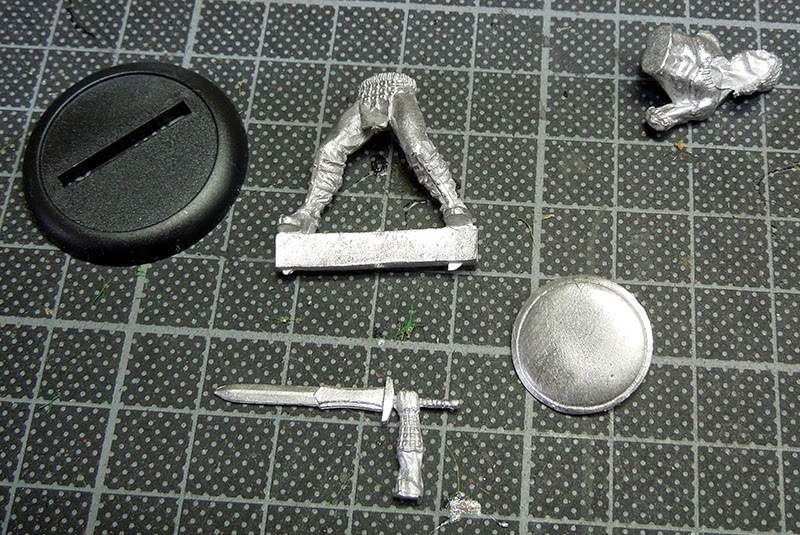 Opening up the blister you find a base, legs, torso, swordarm, shield with fist all cast in white metal. The quality of the cast is very good, only subtile mould lines had to be removed. Easy going there. The fitting of the parts is also good, but some small gaps have to be filled. 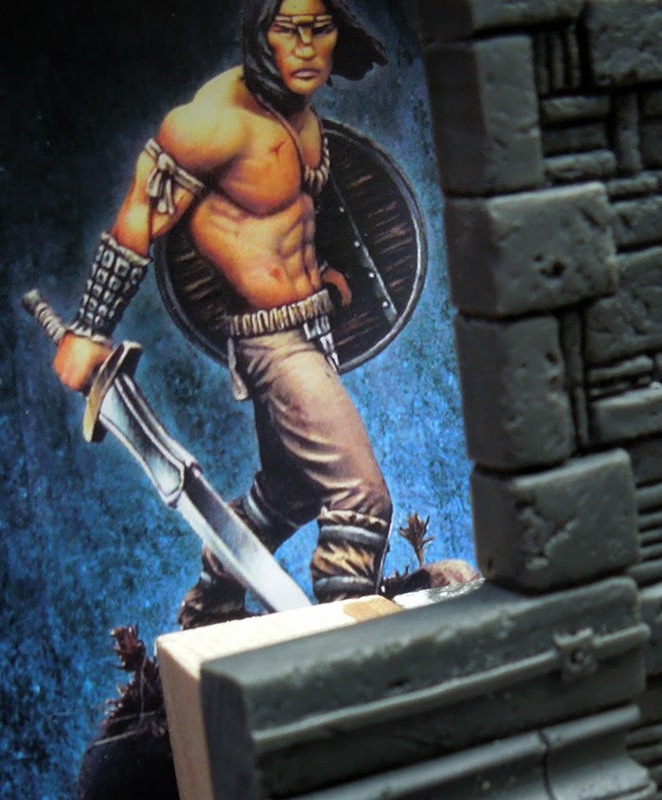 The pose of this character really invites to a dungeon scene and Raffa and Roman already used the model for explanation on a dungeon base during the last private coaching with Matthias. Well, a really a nice character and a classic hero of old, long forgotten Fantasy genres. 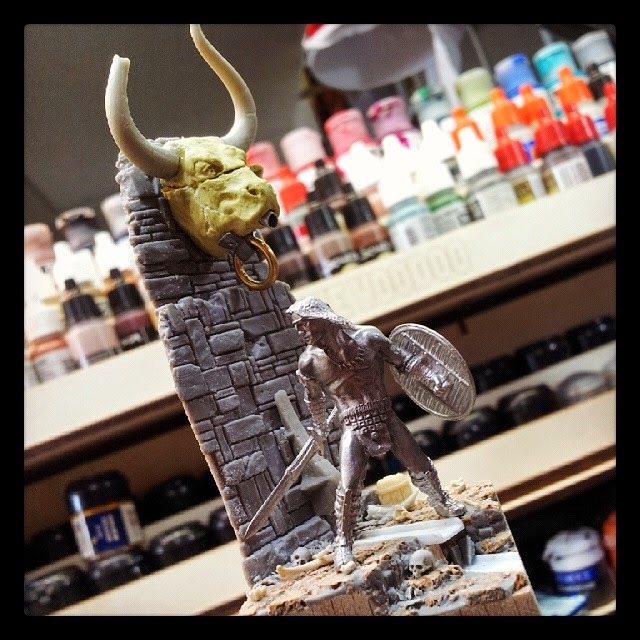 No overdoing here, a very unique sculpting style, a beautiful mix of realism and comic, just like Heroquest but much cooler. Keep on happy painting and take care while strolling the dungeons! 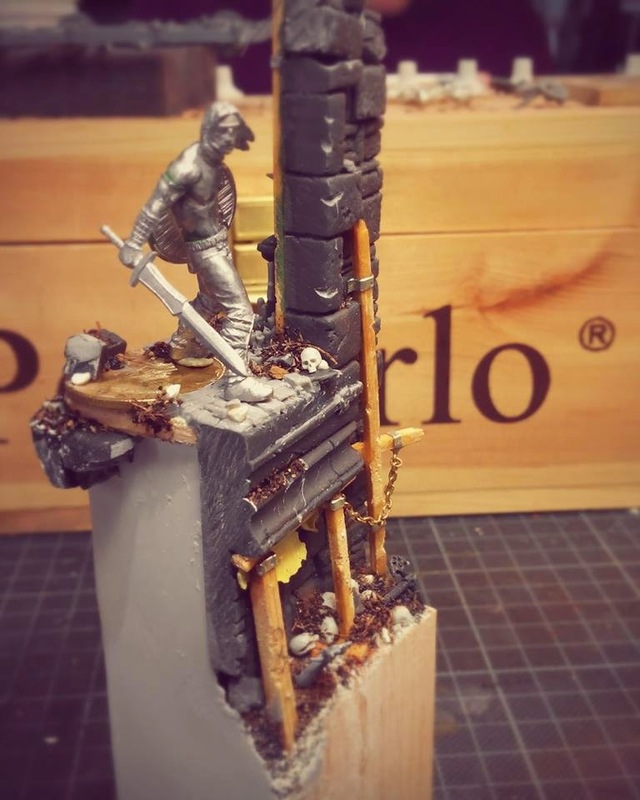 I love the bases - wonderful ideas - great !!! Very nice mini. Love that base. What materials did you use to make the wall in the dungeon scene?, is it HirstArts??? 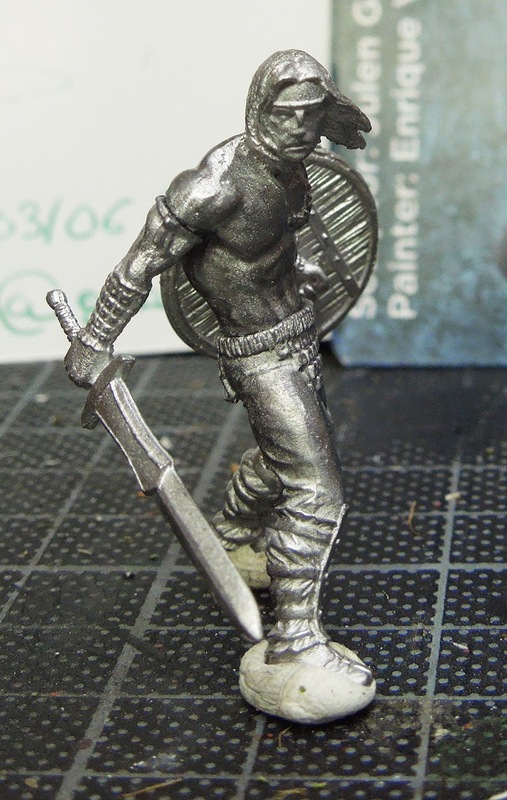 It can also be done with Sculpting Putty. 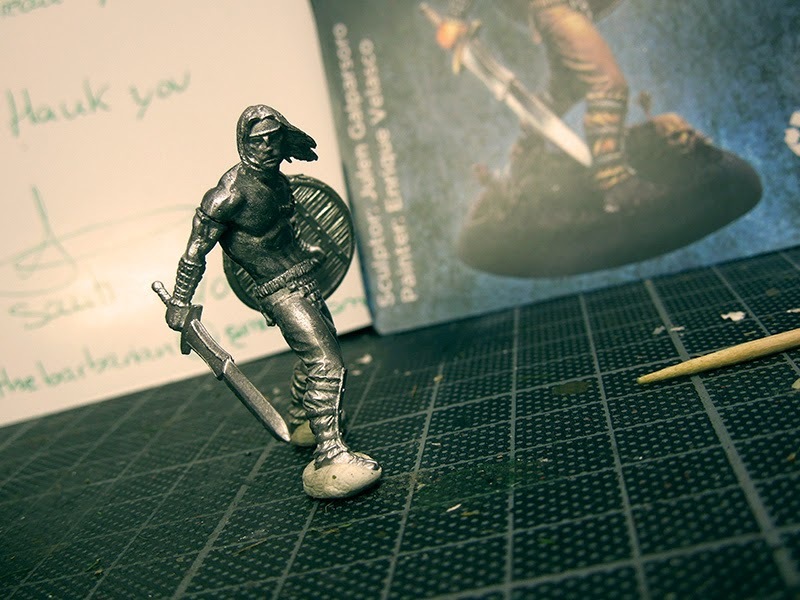 The simplest mini but has so much to offer, amazing. The dungeon sets him off great! 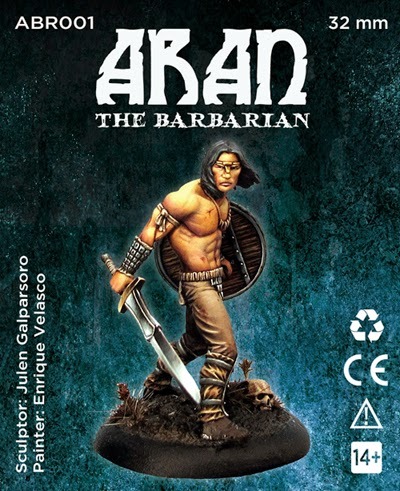 Hi, is there still a chance to buy the mighty Aran? We do not know, unfortanetely!